The hammer drill isn’t the most necessary tool to have for everyday crafts, but for small demolition and large renovation projects, you’ll thank your lucky stars that you invested in one. 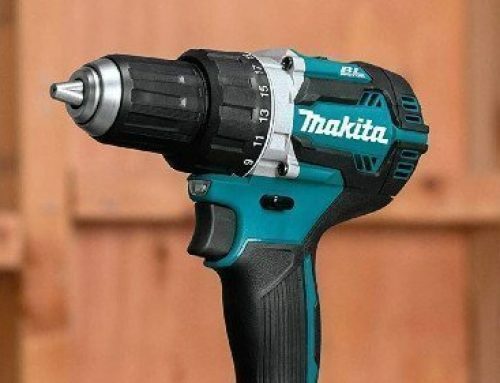 A hammer drill is similar to a regular power drill except that it’s not. Consider it a mini jackhammer, if you will; you direct the bit to any surface you want to destroy, and as the bit rotates, a hammering action sends the bit deeper and deeper into the object. 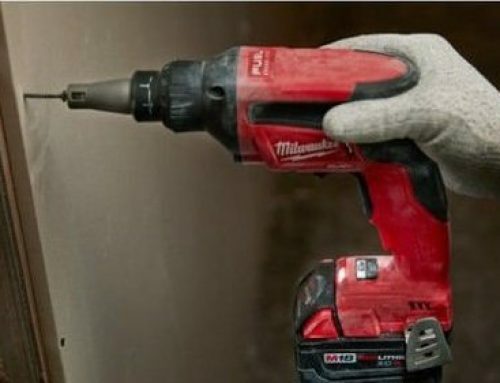 A power drill is designed for medium material removal, whereas a hammer drill, with its less-than-graceful hammering action, will quickly chip away at concrete, tiles, and even stone. In a way, a hammer drill is actually more like an impact driver in terms of heightened torque delivery. However, in no way is a hammer drill used to drive screws in delicate surfaces like drywall or wood. It’ll end up destroying the screw and the surface in which you wish to drive the screw. This is not a mistake so don’t go complaining about the “drill’s” inability to drive screws even in pre-drilled holes in wood accurately. One question you may be wondering to yourself is whether you need a hammer drill or a rotary hammer? The confusing thing about these tools is that they both deliver a hammering action for removing or drilling through tough materials like masonry. So where does one tool excel over the other? A hammer drill is used for demolition jobs as well as driving screws through concrete and stone. Try doing that with a regular drill, and you’ll most likely end up with a busted piece of hardware. A rotary hammer, on the other hand, is designed specifically for demolition projects. They can use a wide range of different attachments suited for different tasks – e.g. tide removal, busting through drywall, and tearing down brick walls. However, if you’re looking for a construction tool, you’ll need to look elsewhere. 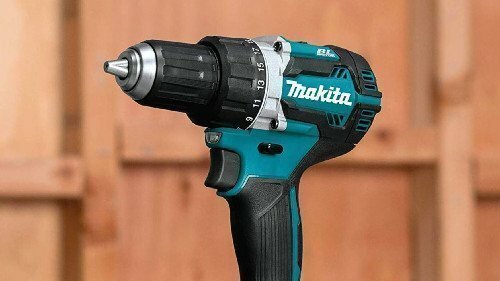 Finding the right hammer drill is a lot easier than it sounds. In this article, apart from giving you our picks of the best hammer drills, we’d also like to supply you with information regarding how to choose the appropriate model based on what your next project involves. We’ll divide our buying guide based on three of its most popular functions: drilling through concrete, removing tiles, and drilling stone. 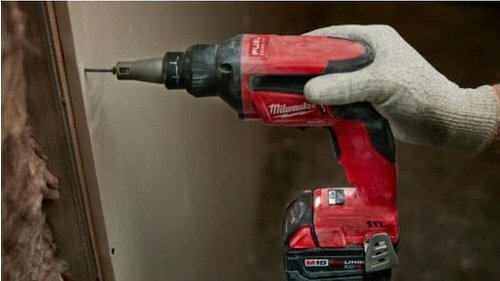 Drilling and driving screws through concrete is perhaps the main reason why anyone would ever need a hammer drill in the first place. The following guide will help you on your journey to find the best concrete-drilling hammer drill that money has to offer. 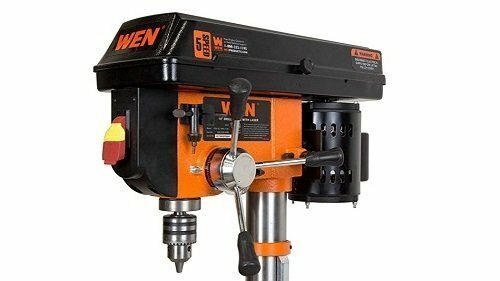 The size of the motor plays a direct role in how effective the hammer drill will drill and drive screws into concrete surfaces. Hammer drills for drilling through concrete don’t need to pack the largest motor available. A simple 5-amp model will do the trick, though it never hurts to go bigger. Even though hammer drills are made to drill large holes in tough surfaces, they can overheat rather quickly. The best way to reduce the risk of burning the motor is by letting the tool rest 30 minutes for every 10 minutes of use. 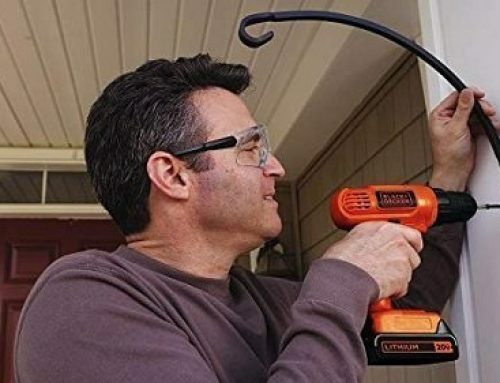 Of course, if you have a larger budget, you could always opt to get a hammer drill that comes with a brushless motor. Compared to brushed motors, brushless motors produce much less heat, and it also gets rid of heat more quickly. The most basic benefit of brushless motors, especially in hammer drills, is productivity. The speed of hammer drills varies greatly from model to model. There are hammer drills that deliver only around 250 RPM, whereas others can deliver upwards of 2,000 RPM. For concrete drilling, we’d highly recommend a 2,000-plus-RPM hammer drill with variable speed. As for many forward blows are produced per minute to drive the drill bit deeper into concrete, more is better for penetrating deep below the surface. The typical BPM range is between 200 and 5,000. For concrete drilling, at least 3,000 BPM is recommended. Hammer drills can come either as corded or cordless models. You’re probably already familiar the uninterrupted power vs. maximum portability arguments so we won’t bother you with those. 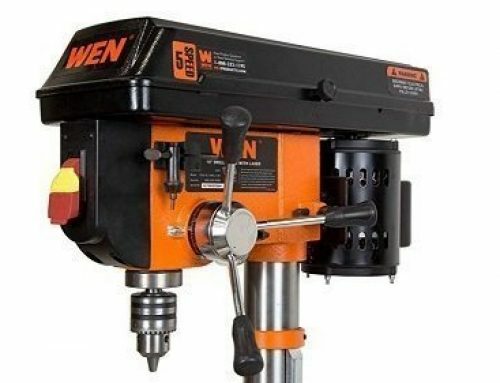 Instead, what you need to consider is how much power each type of hammer drill offers. Corded models are almost always stronger, thus better suited for drilling into concrete. Corded models can work in concrete as well, but their smaller motors mean less drilling efficiency. Ultimately, the decision is in your hands. They both have their pros and cons, so it’s simply a matter of personal preference. If you want to remodel your kitchen or bathroom, a hammer drill can be used as a handy tile remover. Although professional contractors rely on rotary hammers to do the job, with the right attachments, your concrete-drilling tool can become a scraper to destroy and remove tiles. Let’s see what the hammer drill needs to accomplish the task. Certain hammer drills have different modes of operation. The most basic mode is hammer drilling which thrusts the tool forward as the bit spins, improving penetration in tough surfaces. The second mode is drilling-only, which is exactly what it sounds like. However, this mode will do absolutely nothing but cause havoc if you attempt to drive screws into drywall or wood. The final mode is hammer-only which delivers how many BPM without rotating the bit. This mode is necessary for removing tile with a tile scraper attachment. Make sure that the hammer drill comes with this mode otherwise the tool will make a mess. Removing tiles is a much simpler task than drilling concrete and stone. Essentially, any hammer drill with at least a 3-amp motor will work at chipping grout and dried mortar in an instant. That being said, we’d still recommend getting at least a 5-amp model for versatility purposes. The best way to remove tiles cleanly is with a tile scraper attachment. These typically don’t come included with the kit so make sure you have enough extra duckets to purchase the scraper. Pay attention to the construction and width of the scraper. A good scraper should be made of durable steel that won’t chip or bend. A wider attachment will remove tiles more quickly than a narrower one, but it won’t do nearly as neat of a job when tackling small tiles. In order to fit the hammer drill in tight corners or under sinks and cabinets, the tool should be both compact and lightweight. Because removing tiles is one of the lightest-duty jobs that a hammer drill can do, a simple one-handed model with a scraping attachment should do the trick. You can pick up the lightest unit available and still get the job done – around 4 to 6 pounds. Unlike hammer-drilling through concrete or stone, removing tiles with a hammer drill is not as demanding a task. Therefore, with a brushed motor in your hammer drill, you won’t have to rest as frequently to allow heat to dissipate. 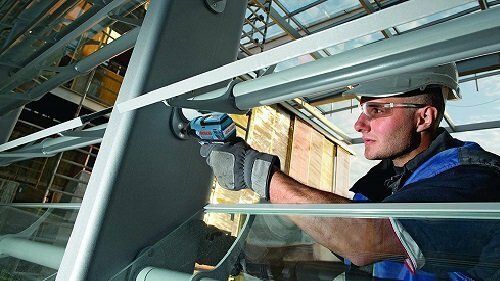 A brushed motor, which produces considerably more heat than its brushless counterpart, has a lower risk of overheating when the hammer drill is used exclusively for scraping and removing tiles. Drilling through stone is probably the most challenging task that a hammer drill can possibly do. For this job, you’ll want the most power hammer drill available to you. In this section, we’ll go over what exactly the most powerful hammer drill is packing. Drilling through slabs of stone calls for having a hammer drill with a beefy motor. You could get away with using a 5-amp hammer drill, but if you need to drill inches into stone and not just millimeters, then find a unit that’s packing a huge 8-plus-amp motor. Like concrete drilling, brushless motors are preferred over brushed. Although the size of the motor is an important consideration, what’s equally as important is how much torque the hammer drill can produce. Torque is the amount of rotational force that the tool delivers for penetrating and drilling through tough objects. Hammer drills produce different levels of torque, so when it comes to drilling stone, more torque is better. We’d suggest looking for a minimum of 450 inch-pounds of torque. Tough slabs or stone won’t stand a chance in preventing stone drill bits from doing their job. The hammer drill doesn’t need to work at a tremendously high speed in order to bore holes into stone. In fact, too fast and the tool will produce less torque. If you’re getting a corded model, try and get a two-speed model that has a low speed for stone drilling and a high speed for driving screws. As for BPM, more is better if you need to penetrate inches into stone. However, there’s no overkill when it comes to how many forward thrusts the tool produces. The handle of a hammer drill plays a role in how much leverage you have for drilling through tough surfaces. There are hammer drills in the shape of regular power drills that are great for smaller, less demanding jobs like boring holes into drywall. Some even come with a side handle which helps the operator control the mini jackhammering action of the tool. But for heavy-duty tasks like drilling and driving screws into stone, a D-style handle is the optimal choice. Your shoulder shoulders much of the tool’s tiny tremors while the second handle keeps the nose pointed at the right spot. For many DIY home renovation projects, a hammer drill can be one of the most versatile tools you could ever own. It’s a compact jackhammer-like tool that demolishes walls and removes tiles, but it can also switch from “demolition mode” to “fastening mode” to drive long screws into concrete, stone, and wood (to a certain extent). In this article, we’ve covered the main differences between hammer drills and rotary hammers. 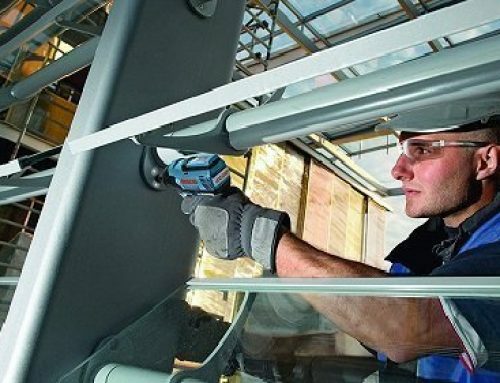 Essentially, hammer drills are a ”jack of all trades” sort of tool that hammers and drills – thus the name – whereas a rotary hammer is mainly for demolition jobs. 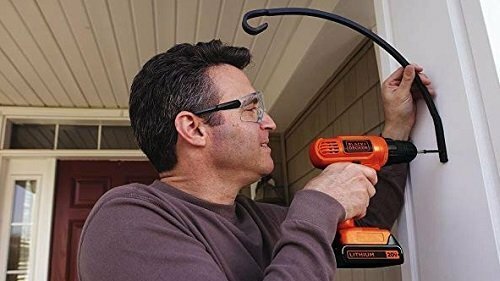 If you’re looking for more than a one-trick kind of deal, then the hammer drill is for you. Hammer drills can be used on all sorts of tough surfaces – from concrete to ceramic tiles to stone. We’ve provided three different buying guides based on what sort of projects you’re planning on taking up next. For concrete drilling, a 5-amp brushless hammer drill that delivers a minimum of 3,000 BPM is ideal. You could get by with a smaller 4-amp brushed model, but mandatory rest times to prevent motor burnout could be more than annoying. Tile removing hammer drills are much easier to find. Essentially, any 4-plus-amp model where a tile scraping bit can be mounted into the chuck would suffice. You could go bigger if you remodel kitchens and bathrooms for a living. Or if you’d like to increase the versatility of the tool. But the most important thing to consider is the scraping attachment (sold separately). The construction and width of the tool determine how long the tool will last and how effectively it’ll take to remove larger/smaller tiles. As for drilling through stone, you’d need the beefiest, most powerful hammer drill out there. A unit with around 8 amps of motor power and 450 inch-pounds of torque deliver would be more than enough to penetrate and/or demolish stone slabs. Stone drilling is also a rough task that causes minor earthquakes up your forearm and into your shoulders. A two-handed model with a D-style handle would help significantly reduce vibrations and keep the chuck in control.